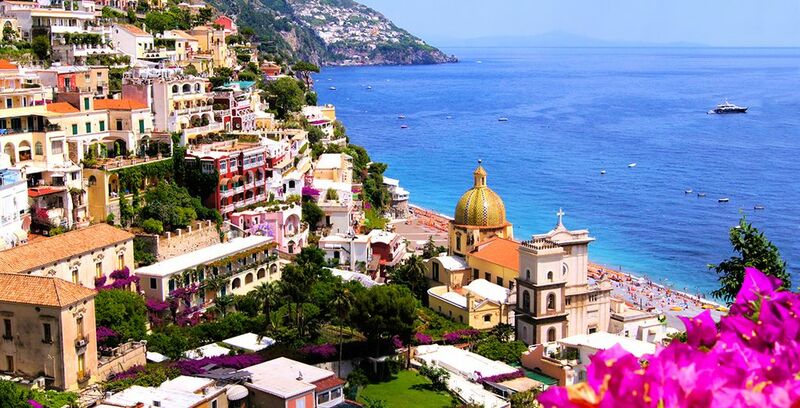 Booking to Naples up to -70% off To take advantage of these offers, join now for free! 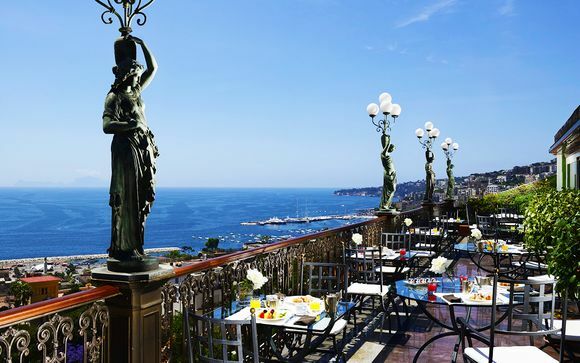 Italy holidays: The best hotels & place to stay. Discover our offers up to 70% Off on Flight + Hotel ?. The Best Deals with Voyage Privé. If you want to pretend you're an actual Napolitano during your trip, make sure you stay inside this traditional Napolese townhouse. Designed with the charm and style of ancient times, the hotel also comes with an array of modern amenities, such as WiFi, a restaurant, and room service for relaxed evenings. This hotel is located in the centre of the city and is ideally suited for ease and convenience. After taking advantage of the airport shuttle, arrive and grab a cocktail from the Bellini Bar. You can let loose with the frequent live entertainment, or relax and unwind in the sauna after exploring the city. 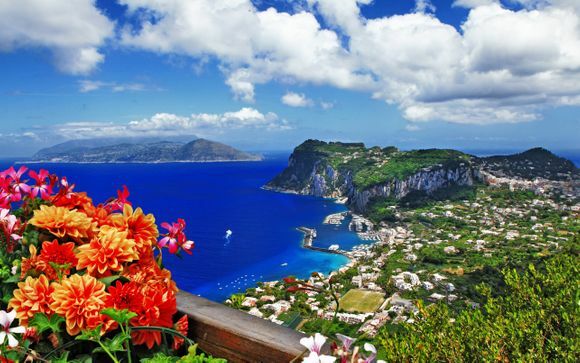 Our reviews on Naples and its hotels: why make your booking there? Naples is the ideal spot for any type of visitor with ancient landmarks, stunning seafront views, and mouth-watering cuisine. 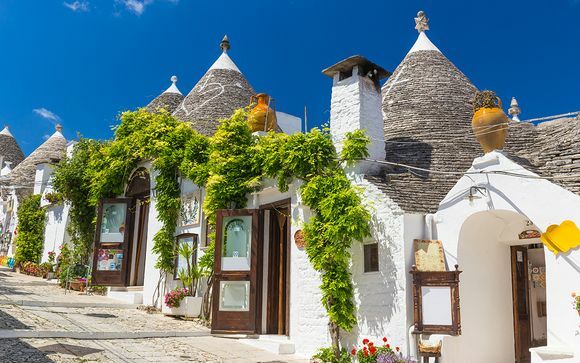 If you're an individual traveller, you'll love meandering the winding streets of the Centro Storico district on foot and sampling the array of delicious street food in the city. 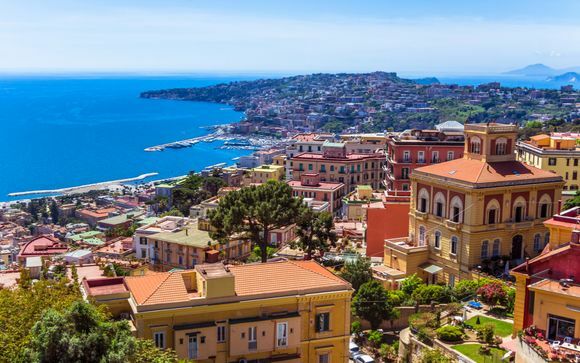 Couples exploring the area together should spend an afternoon on the beaches of Posillipo before climbing up to the viewing spots at the top of the ancient castles. 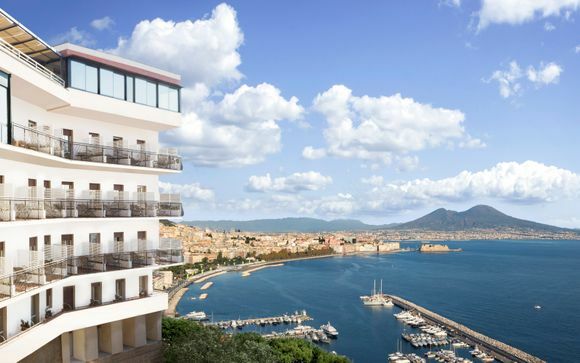 Alternatively, you can sip a glass of Italian wine and gaze over the sea from the roof gardens of the Hotel Naples or the Grand Hotel Parker, or perhaps get a massage together at the Holiday Inn. Meanwhile, families will love the wide open parks, snorkelling opportunities, and unique boat trips. When the children get tired in the evening, all of the Voyage Privé hotels offer restaurants on-site. With Voyage Privé, it's quick and easy to register for an account and begin booking your dream holiday. After visiting the website, simply click on Join Now to register your details for free. You can also click on the offer that you are interested in for your chosen location, or create an alert if there are no offers. Once you have reached the registration page, simply provide a few pieces of information and then you're ready to finalise your holiday plans. There are multiple significant advantages to creating an account with Voyage Privé. We can provide you with exclusive deals for your city or country of choice of up to 70% off or more. Voyage Privé also provides responsive and solution-focused customer support, so you will always have an expert on hand to provide advice with the travel logistics or give destination advice. With our mobile app, you can find the answer to a query on your smartphone while you're on the go, and read up-to-date information about your chosen location both before your trip and during your holiday. Whether you're looking to book a full holiday with travel included, or just select a hotel, Voyage Privé offers a way to secure the best accommodation and meet all of your needs. With Voyage Privé's flight inclusive offers, you can choose both your hotel and your flights at the same time. Once you've selected your chosen accommodation, your flights will be organised on your behalf. You can designate which departure times you would prefer, and our customer service team will make a booking with an airline. These offers also include transfer services; once you arrive at your destination, your transport from the airport will be ready and waiting for you. If you have your eye on a dream hotel at Voyage Privé, but already have your flights booked, then you can opt for one of our hotel-only packages. Simply browse our current offers and register for an account to select your chosen accommodation. If you want to be in the middle of the action in this ancient city, the district known as Napoli Centro Storico is the perfect place. 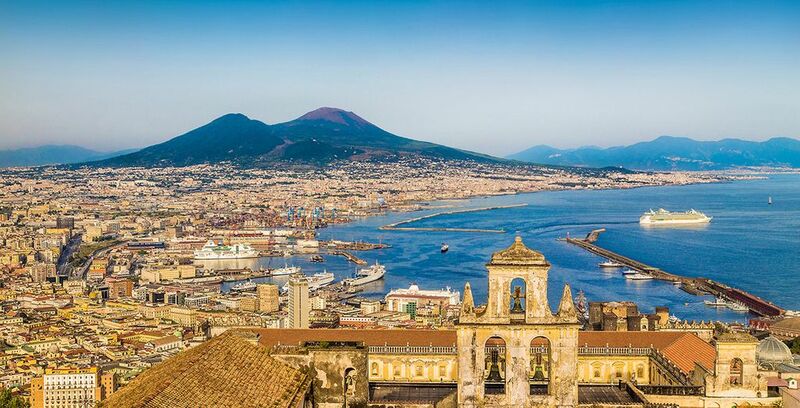 This UNESCO World Heritage site features grand architectural landmarks looming over bustling modern shopping streets, such as the famous Spaccanapoli. For an area with an artistic and cultural focus, head towards the sea and view some modern art at the Palazzo delle Arti Napoli in Chiaia. Afterwards, you can pay a visit to one of the many museums and take a ride on the long-running cable car. Another area to consider for a bit of a buzz is Piazza Del Plebiscito, which is the site of the stunning Royal Palace. Aside from the enchanting surroundings, it is also next to several cultural hotspots, such as the opera house and the popular Castel Nuovo. For a room with a view, consider staying in the sunny heights of the Vomero district of Naples. The hills will give you a workout, but the Castle of St. Elmos is worth the effort, and you can even drop by the Arturo Collana stadium to catch a sports game. 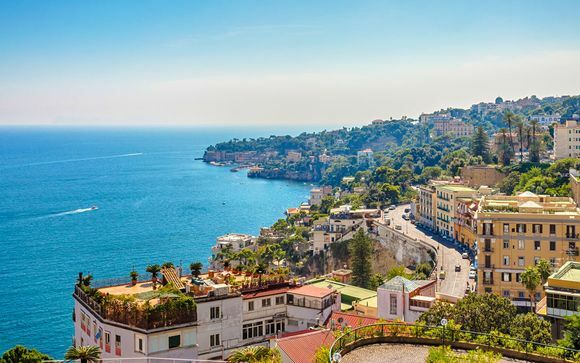 Like Chiaia, the charming district of Posillipo also offers stunning views across the Bay of Naples. Although a little further from the centre, you can stroll along the beach or let your children run around in the Parco Virgiliano. Naples is the perfect holiday destination for an individual traveller or a big family with its unbeatable blend of ancient and modern. Located right at the bottom of Italy's famous boot, the city offers an array of ancient castles and restored palaces, not to mention the notorious Mount Vesuvius volcano and the ruined settlement of Pompeii. Alongside this rich history and ancient charm, however, the city also offers a fresh burst of life. Visitors can opt to explore museums and contemporary galleries, as well as catch a concert. The seafront location offers unlimited opportunities for water activities and wildlife sightings, as well as a glass of wine and a plate of seafood while the sun sets over the bay. Naples is famous for its cuisine, and there are plenty of chances to sample traditional Neapolitan food. Visitors can indulge in spaghetti and risotto dishes, or throw caution to the wind with a timballo – that's pasta inside a pie! Whether it's walking on the beachfront or sitting outside a cafe for a coffee, the outdoor culture is both relaxing and rejuvenating. You can visit in the summer and take advantage of the seaside location to cool off and unwind, or you can wander the ancient streets in the autumn when the climate is still warm and accommodating. Of course, no trip to Naples is complete without a visit to this infamous volcano. No need to fear the molten lava now – in fact, you can walk up to it on the designated paths, or explore the whole area in the Vesuvius National Park. 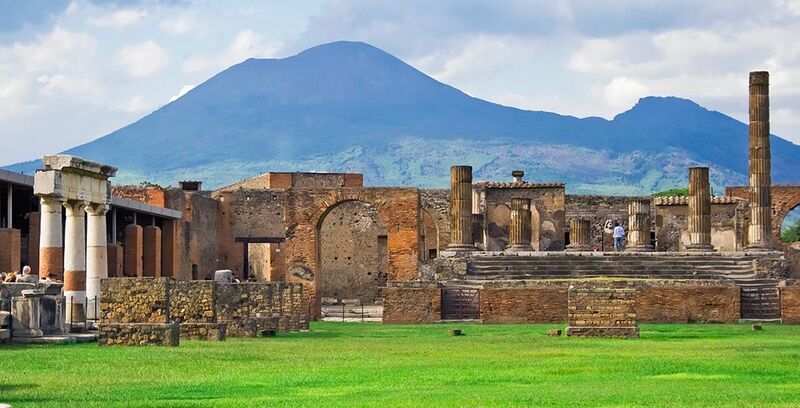 Don't forget to take in the ancient ruins of Pompeii while you're there! The stark and imposing sight of the Duomo di Napoli is not to be missed in Naples. This renowned site of worship features an intriguing blend of architectural styles from Gothic to Renaissance and Baroque. If you're looking to do a little luxury shopping during your trip to Naples, then make sure you take a walk down the Via Toledo. Get your credit card out on this kilometre-long stretch of retail heaven and make the most of the Italian fashion and fine craftsmanship. As it's such an ancient city, it's no surprise that Naples has its fair share of historical castles. 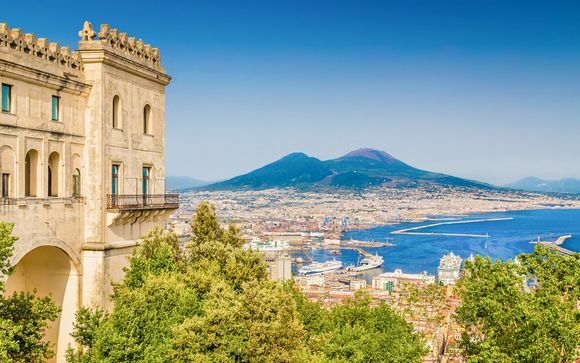 Take a look at the imposing Castel Nuovo, which also has an art museum, and the Castel dell'Ovo, which provides stunning views across the sparkling Bay of Naples. For a truly unique experience, head a little outside the city centre to this unique underwater park. Not only can you snorkel to explore beneath the sea, you can also take a glass-bottomed boat tour that reveals the ancient city ruins. Deciding where to stay in Verona? Just ask us!